There are a growing number of parents seeking alternative and natural forms of health care for their family. We are here to answer any questions you may have and let you know about the many potential benefits of chiropractic care for kids. There’s no patient too young for a chiropractic check-up! Chiropractors check infants and children for misalignments of the upper vertebrae that may occur as a result of the birth process and/or tumbles along the way. In addition to supporting overall health and well-being, parents also bring their children to the office to encourage healthy brain and nerve system development. There have been several large-scale research studies verifying the safety and effectiveness of chiropractic care for kids. The amount of force used to adjust an infant is comparable to the amount of force you use to test a ripe tomato in the produce aisle. Chiropractors help kids lead healthier lives by ensuring their spine and joints are moving properly for optimal growth and development. 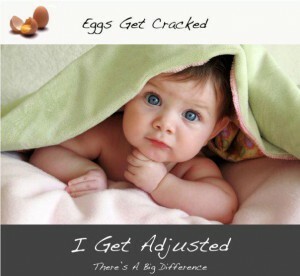 Although the basis for chiropractic care is the same whether the patient is 85 years or 5 months old, the growing and ever-changing little bodies of children have unique needs depending on their stage of growth and development. Generally, children respond much quicker to care than adults do. Here is a list of common childhood conditions that parents have reported improvements with regular chiropractic care.